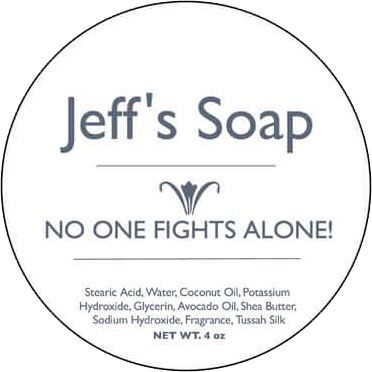 A release of a new shaving soap is always something that gets my attention and this time it was for a very good cause. 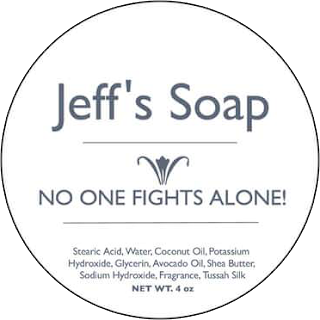 Larry from Cold River Soap Works created a very special soap for someone in need. Jeff was diagnosed with cancer and needs an extremely expensive operation. Larry working with what he does best put together a shaving soap to help Jeff in this trying time of his life. As soon as Larry posted this I purchased one right away because I know first hand what can happen to a family when they go through this kind of thing. I’ve been down this road many times before caring for my wife (2x Strokes, Brain Surgery) and I can tell you first hand it the hardest thing I've ever done in my life and the expense could bankrupt you instantly. Instead of going into lots of detail I refer you to the video which will support my findings on the performance of the soap. Due to the nature of why this soap was created, I just don’t feel it right to give any feedback of any kind here. I’m not sure you can still purchase this today but I do know I did my part in helping out someone in need because God knows we can all use help every now and then.